Reports are out claiming that Inter Milan have opened talks with PSG fullback Gregory van der Wiel. Inter chief Piero Ausilio has confirmed they’ve opened negotiations for the Dutchman. 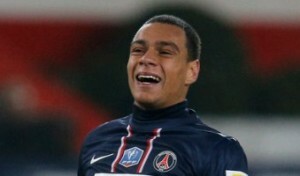 “We have an open discussion with PSG over van der Wiel. We are talking about a loan, so we’ll see,” said Ausilio.